Jan. 15, 2013, 10 a.m.
By Johanna Vehkoo and Pekka Pekkala Jan. 15, 2013, 10 a.m.
Editor’s note: Late last year, a team of researchers put out a usefully comprehensive report on how digital journalism is being financed. The project was called Submojour — sustainable business models for journalism — and it looked at 69 different journalism startups across 10 countries to ask where they were getting revenue and how they were building for the future. 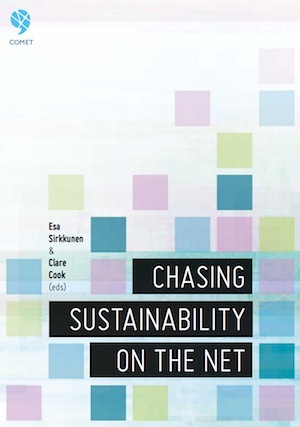 You can download the full report, “Chasing Sustainability On the Net,” which is worth a read, or go through any of the 69 case studies they compiled, browsable by country, business model, organization size, or revenue. But two of the project’s researchers, Johanna Vehkoo and Pekka Pekkala, have written for us a summary of some of their findings. Both the U.K. and the U.S. have seen a considerable boom in community or ‘hyperlocal’ journalism. Openly Local lists and links to more than 500 of hyperlocal blogs and websites in the U.K. and Ireland, and J-Lab has listed over 1,200 American community news sites in its Community Media Directory. The new group LION aims to be a organizing force for U.S. hyperlocal online publishers. We interviewed three local websites for our study in the United States. Each sold banner ads at weekly or monthly rates. At DavidsonNews.net in North Carolina, 75 percent of revenues came from banner advertising and classifieds, sold on a monthly basis. David Boraks, the editor-in-chief, noted that some of the stores they work with simply don’t understand the web well enough to grasp alternative advertising sales mechanisms based on clicks or traffic. At The Batavian, operating in upstate New York, most ads are priced per month, some per day. Across the country, West Seattle Blog offers monthly flat-rate display advertising to local businesses. I would just walk in, you know, if they are new. I just walk in and ask if they have heard of the site? They have, great! Talk to them a little bit about it, ask if I am allowed to sit down and say how what we are doing can help promote your business and help get more business for them. It was almost a disappointment for our research team to find out how strong the old model of display advertising was among many of the websites we studied. But although ad dependency remains strong, some of the sites had found alternative and sometimes innovative ways to monetize their journalism. In the U.K., we found a few journalistic startups who’ve experiment with business models and have found somewhat unexpected revenue streams — including money made selling something other than their journalism, most often technology. One British example is Tweetminster, which gets its name from a mashup of Twitter and London’s Westminster. Tweetminster automatically curates what experts in U.K. politics and current affairs think is important, based on data and without human intervention. For its clients and partners, however, the company produces analysis of particular industries, topics, or markets — all based on what experts of those fields are paying attention to online. “Everything we do outside of politics we charge for. We sell a license to use our software. It’s an API, so as the clients make more calls, the price goes up,” CEO Alberto Nardelli said. In October, Blottr announced a content syndication division called Newspoint, where Blottr’s breaking news will be made available for professional clients. This pushes Blottr also in the new generation of newswires. Another kind of development can be found in Italy, where journalists have founded digital news agencies. The Italian-founded company China Files operates in Beijing, offering in-depth multimedia coverage of China-related news for around 30 Italian and Spanish media outlets. Effecinque focuses its content on media, innovation, and the Internet and serves as a subcontractor for large Italian newspapers and outlets seeking innovative news reporting and visualization products. As the company’s slogan, “Refreshing Journalism”, and its name (it means F5, the refresh key) imply, Effecinque also develops new web-native ways of digital storytelling. The Irish company Storyful describes itself as the “first news agency of the social media age,” employing more than 20 journalists who discover and verify newsworthy content (like videos from Syria) from the social web and deliver the vetted material to clients, mostly in traditional media. Storyful’s clients have included YouTube, Google, The New York Times, France24, Channel 4, ABC Australia, and The Economist. So have we found the Holy Grail? Nope. Can journalism thrive as a digital business or is it doomed to merely survive — as the Reuters Institute’s report “Survival is Success” suggests? In our opinion, it looks like there are numerous possibilities for constructing a profitable business. But most might be difficult for traditional media companies to adopt; the newcomers are small, lean, and nimble, and they use both technology and their audience to create greater efficiency in their operations. And unlike their predecessors, these online publications are not generalists but specialists: They do one or two things exceptionally well and leave the rest to others. It remains to be seen if there is still room for traditional media that tries to bundle “all the news that’s fit to print” on a single website, newspaper, or newscast. Based on our research, the new publishers are not finding sustainability with bundles. POSTED Jan. 15, 2013, 10 a.m.
Vehkoo and Pekka Pekkala, Johanna. "Across the world, money to support journalism startups comes from a variety of sources." Nieman Journalism Lab. Nieman Foundation for Journalism at Harvard, 15 Jan. 2013. Web. 23 Apr. 2019. Vehkoo and Pekka Pekkala, Johanna. "Across the world, money to support journalism startups comes from a variety of sources." Nieman Journalism Lab. Last modified January 15, 2013. Accessed April 23, 2019. https://www.niemanlab.org/2013/01/across-the-world-money-to-support-journalism-startups-comes-from-a-variety-of-sources/.